Beautiful and Immaculate Single Family Home in the Heart of Palm Isles. Near Clubhouse behind Main Guard Gate. Roof replaced in 2014. Great Floorplan, side covered entrance, split bedrooms, Patio overlooking Lake. Family Room, Living Room and Den! Dining Area open to Living Room. Tile in Main Areas. Guest Bedroom has a Murphy Bed and Office! Great House for entertaining. Eat In Kitchen. Come Take a look! All located in the Community of Palm Isles with its Fabulous Clubhouse. Over 50,000 sq. ft. of amenities including Indoor and Outdoor pools, 8 Har-Tru Tennis Courts, 600 Seat Theatre of Performing Arts, Lots of Card Rooms, Billiards, Pickle Ball, Ceramics. Even a Cafe for Breakfast and Lunch! This is the place to be. 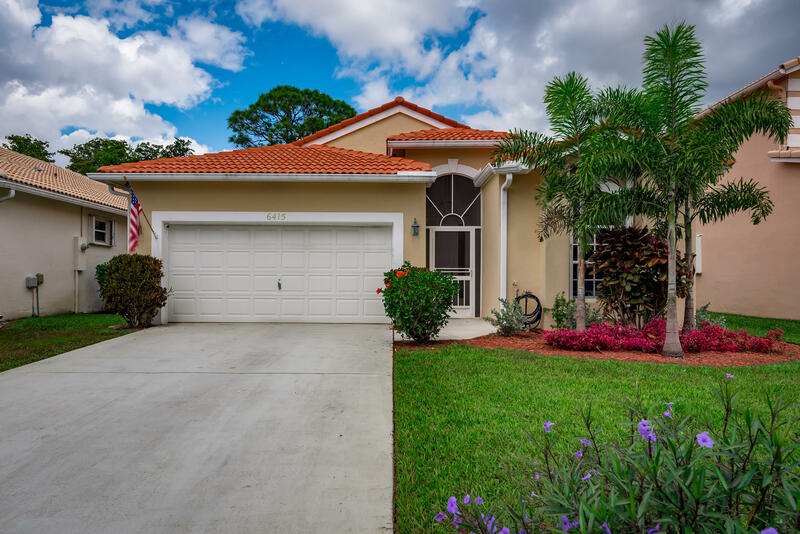 This home is located in PALM ISLES 55+ Active Adult Community. As an Active Adult Community Specialist for over 16 years, I know these communities very well. I am a real estate agent who cares. I don't just want to sell you a house, I want to sell you the perfect home that will fit your needs as well as your lifestyle. I live and play in an active adult community and the lifestyle is wonderful. Country Club living without the country club fees. To All of my baby boomers not quite 55 years old who want to live in a 55 plus community, please call me for a list of Active Adult Communities that will allow you to live in some of these wonderful communities! Please call me with any questions that you may have at (561)-306-7430.